A gently shaped 2mm ring smoothly crafted from 9ct white gold. 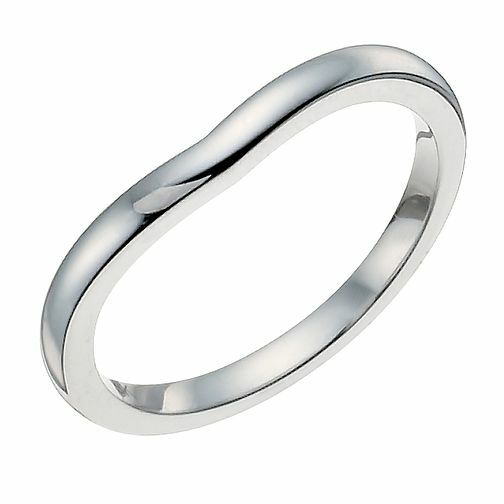 A subtle twist on a classic wedding band, carefully shaped to create a harmonious fit with an engagement counterpart. 9ct white gold 2mm shaped ring is rated 5.0 out of 5 by 1. Rated 5 out of 5 by Anonymous from Perfect to complement an amazing engagement ring I have the most beautiful engagement ring and for me a wedding ring should be understated, simple and elegant and this ring is all of those. It complements the large diamond on my engagement ring perfectly and the shape means they sit together perfectly. I absolutely love this ring. I was prepared To spend 3 x this much but felt absolutely contented when I walked out of the shop with this beautiful ring and a fabulous price.